I stole this picture off of my sisters blog. 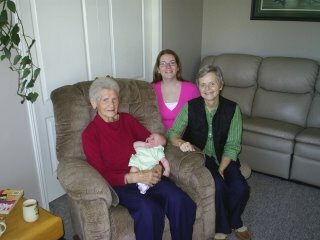 It is my 83 year old oma with my mom, sister Maria, and her baby Annika. Oma came over this weekend to celebrate her birthday.